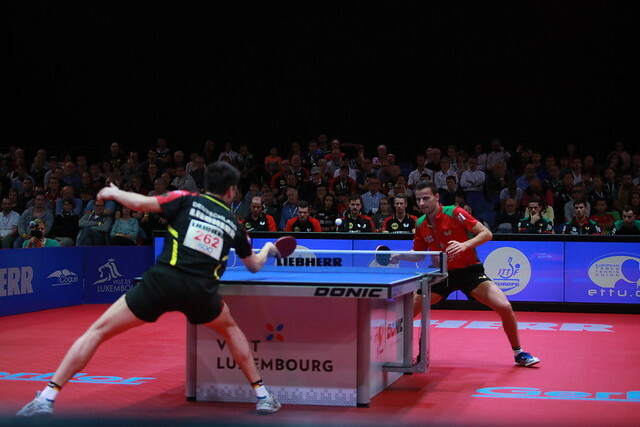 The Men's Championships Division qualifying group stage for the Liebherr 2017 ITTF European Championships drew to a conclusion on Tuesday 7th March, as the race to Luxembourg began to enter the home straight. Ten group winners booked their spots at the European Championships set to get underway in September, while ten countries kept their hopes of appearing in the Championship Division alive after the runners up of each of the groups moved through to a Play Off round. With Austria having picked up enough points to guarantee top spot in Group A, the attention shifted to the battle between Hungary and Denmark on the final day of the qualifying group stage. Both the Hungarian and Danish teams sat level on four points apiece heading into the deciding group match, and the brief was simple: victory would be enough for second position in the group and a place in the Play Offs, while defeat would result in third position and a spot in the Challenge Division. Adam Szudi put in a man of the match performance for the Hungarian team, after he sealed a brace of victories over Claus Nielsen (11-3, 11-5, 11-8) and Mikkel Hindersson (9-11, 3-11, 11-5, 11-7, 11-2) while Bence Majoros chipped in with a win for the home side against Anders Lind (9-11, 11-7, 11-6, 7-11, 11-5). Recently crowned national champion Tobias Rasmussen did register a win for the Danes as he saw off Nandor Ecseki in four ends (7-11, 11-9, 3-11, 5-11), but it proved to nothing short of a consolation victory for the visitors as Hungary moved into the Play Offs. Next up for Hungary is a Play Off meeting with Belarus, with the winner of the tie qualifying for the Championships Division. Belarus had already finished its group stage campaign in the previous round of matches, but Croatia took top spot beating Israel in the final Group D encounter to leave Belarus in second position. Serbia will go head-to-head with Russia, in the Play Offs after the former of the two nations enjoyed a strong finish to the group stage. Early wins for Marko Petkov and Ivor Katic over Switzerland’s Filip Karin (11-7, 11-5, 11-4) and Nicolas Champod 11-7, 8-11, 11-8, 11-8) put the Serbian team two games in front in the tie, and while Gael Vende pulled a game back for the visitors with his victory against Nikola Strugarevic (9-11, 8-11, 9-11) there was never any doubt for Serbia as Marko Petkov overcame Nicolas Champod in straight games (12-10, 11-7, 11-3). 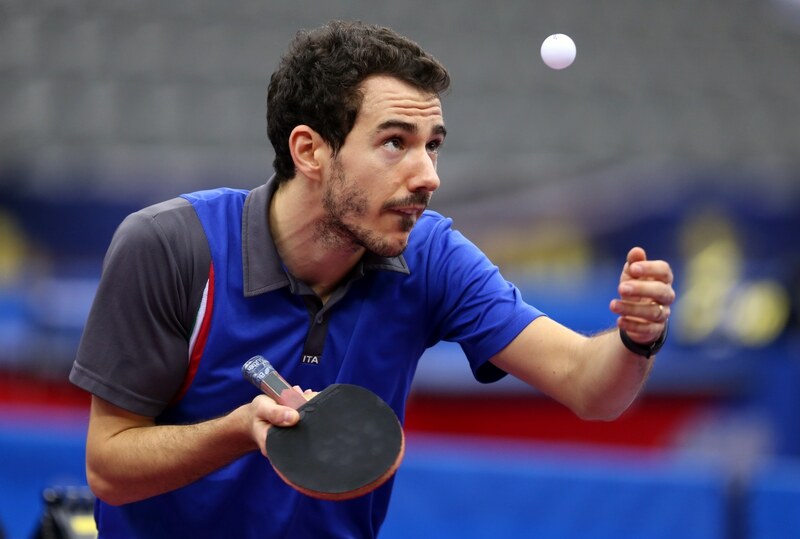 Elsewhere, Italy came through its match against Finland with a Mihai Bobocica double providing the home team with a 3-1 victory to seal the runners up position in Group C, and Spain maintained its 100% winning record in Group I following its 3-0 triumph over Bulgaria. The group winners are: Austria, Germany, France, Croatia, Sweden, Portugal, Greece, Slovenia, Spain and Romania. Following the conclusion of the qualifying group stage we now know the lineup of the Play Off matches: England will face Slovakia, Italy faces Ukraine, Russia has been drawn with Serbia, the Czech Republic and Poland go head-to-head while Hungary does battle with Belarus.